New color! 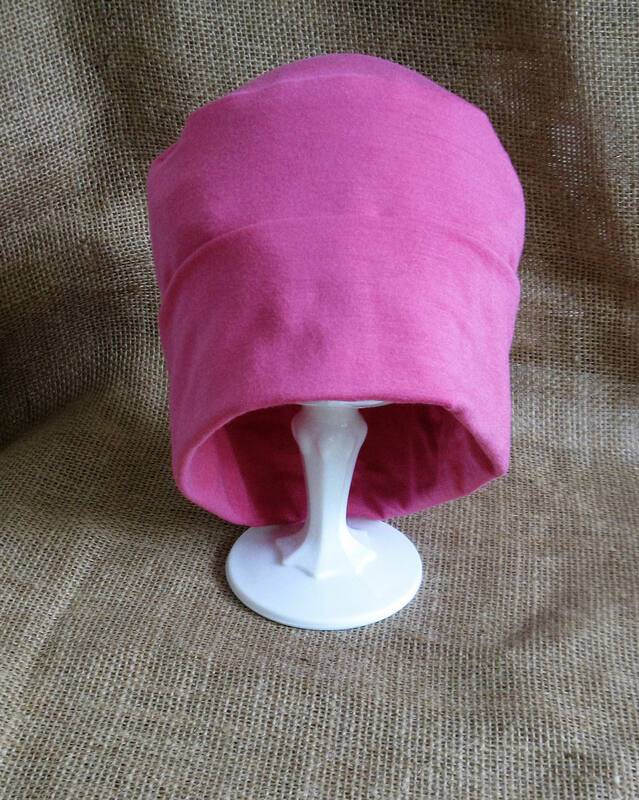 Light Raspberry Bamboo and spandex knit chemo hat that is lightweight, ecofriendly, super soft, simple and elegant. 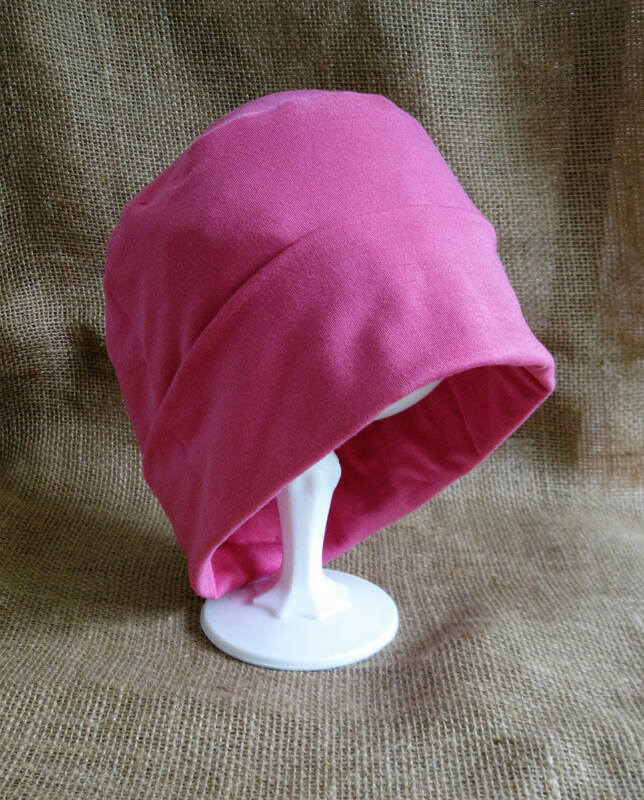 Wear this hat three ways...rolled, as a slouchy or shirred wrinkly, it all looks good and feels good too! 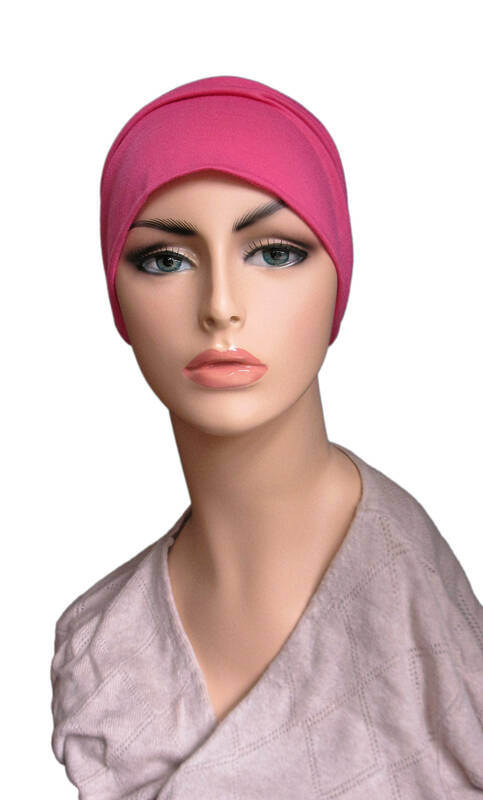 This hat is stretchy and will fit head sizes 21 1/4 to 23 inches. Models head pictured above is 21 inches, and this hat was a smidge big. Please contact me for custom sizes.